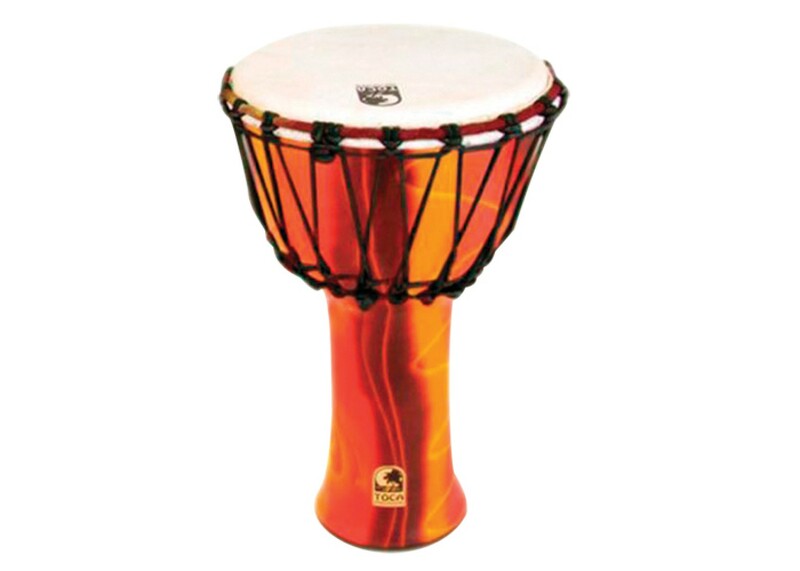 You'll coax a world of sounds from this portable drum! 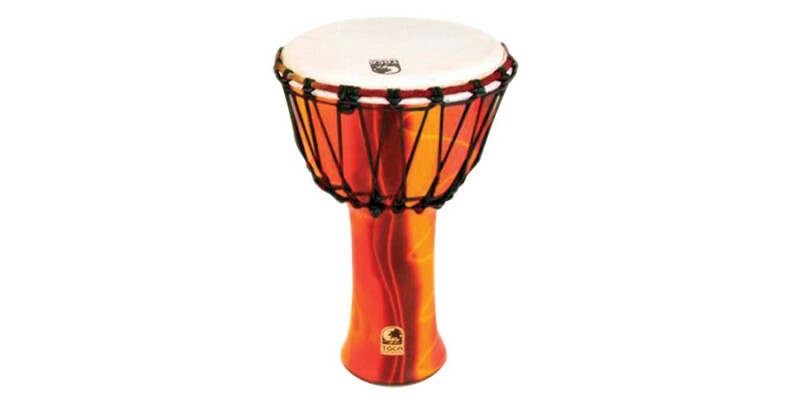 This tunable djembe drum has a synthetic shell that makes it impervious to weather changes. It is also very lightweight and easy to transport. If you re looking for a portable drum with excellent sounds, a wide variety of tones, and great value, you have found it! Genuine goatskin head for authentic traditional tones.